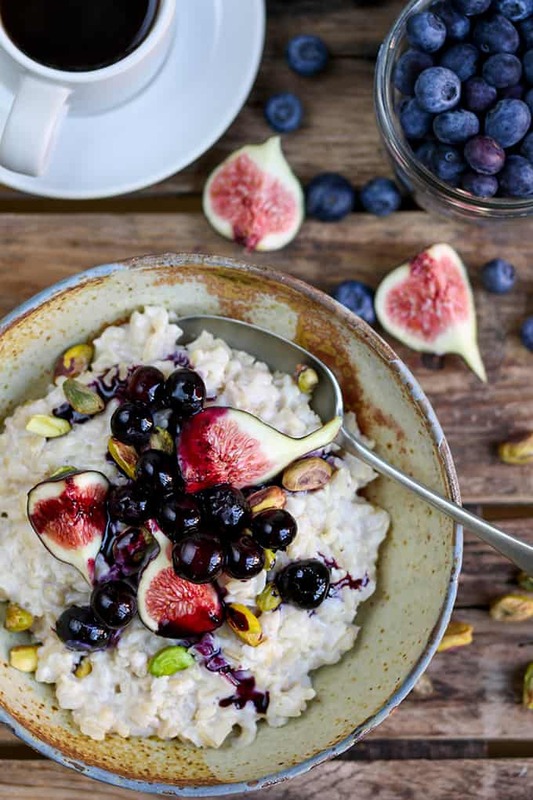 Brown Rice Porridge with Figs and Blueberries. 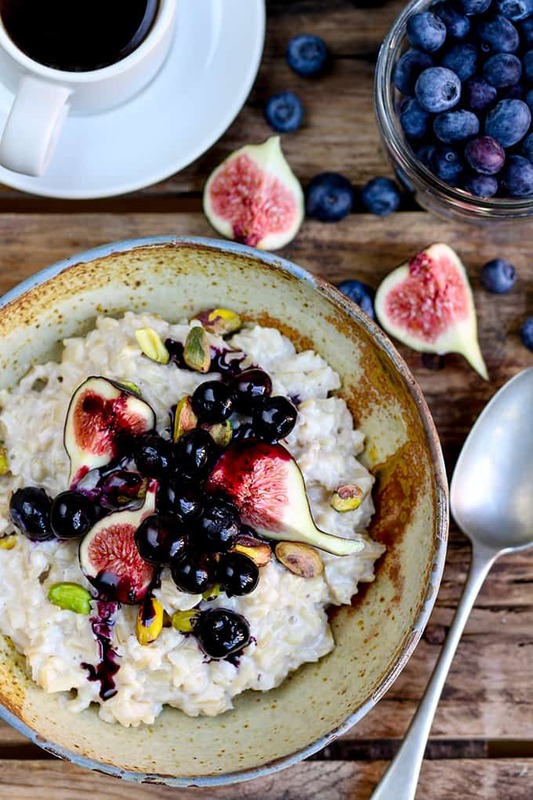 I get it, porridge made from brown rice sounds wrong – that’s what I thought – until I tasted it! I made stew last week, and I’m posting porridge this week. Sometimes you’ve just got to forget the weather and eat what you fancy! I’ve been seeing brown rice porridge recipes flying around for a while. To be honest, I’m still weening myself onto brown rice as a savoury food, never mind trying to eat it as something sweet. So the fact I really enjoyed this surprised me. 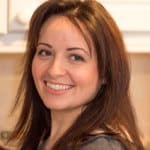 In usual Nicky style, I love white rice, as well as anything else in life that doctors and health ‘specialists’ tell you is bad for you (except fried haggis. That’s the one time I’ll ask for a (slightly) healthier alternative like a nice big fried mushroom. I don’t need sheep organs in my life thank you very much). Where was I? 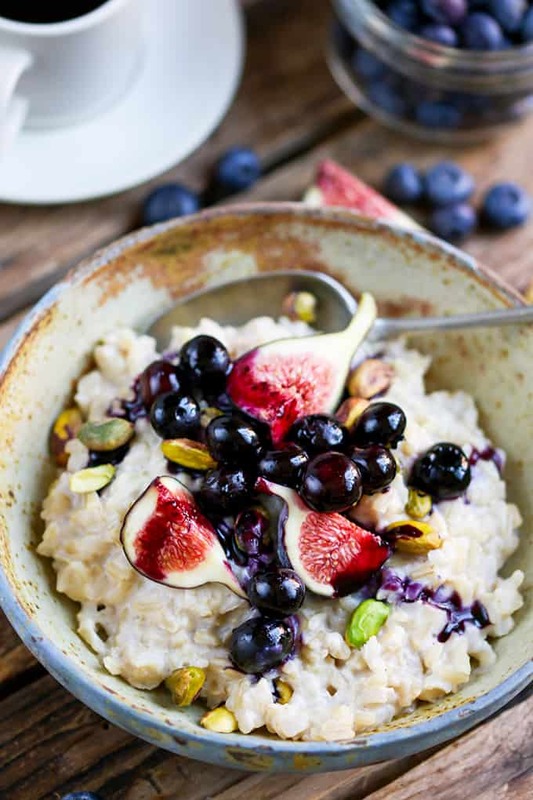 Ah yes, Brown Rice Porridge with Figs and Blueberries. If you like rice pudding, you’ll like this. And rice pudding for breakfast? I’m in! 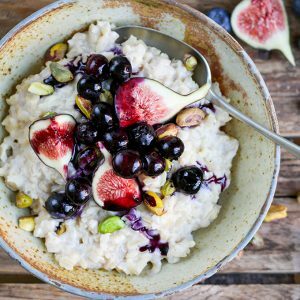 The porridge isn’t loaded with sugar and full fat milk like regular porridge. 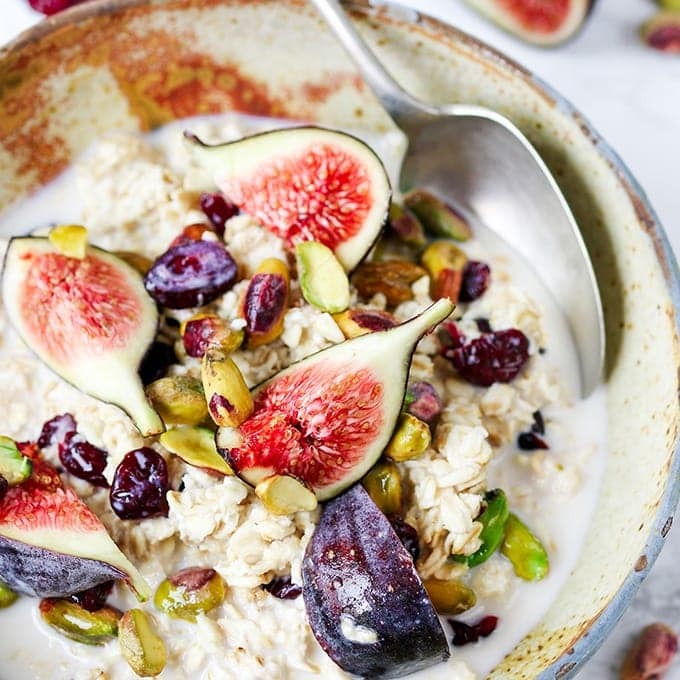 It’s made using almond milk – which isn’t very sweet straight out of the carton, but reduced down with the rice, the flavour really develops into something creamy and sweet. I’ve topped mine off with some lightly poached blueberries. Again, I’m not adding sugar, as I like to drizzle on a little honey at the end. However, if you want your blueberries to be a little more sweet and jammy, just add 2 tbsp granulated sugar to the pan. 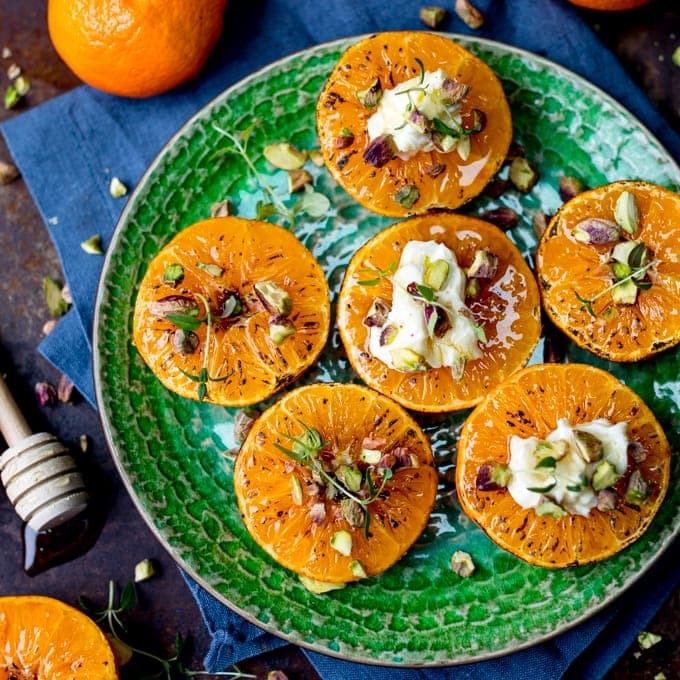 I’ve also topped with pistachios for a bit of crunch, and figs – because I love the colour. 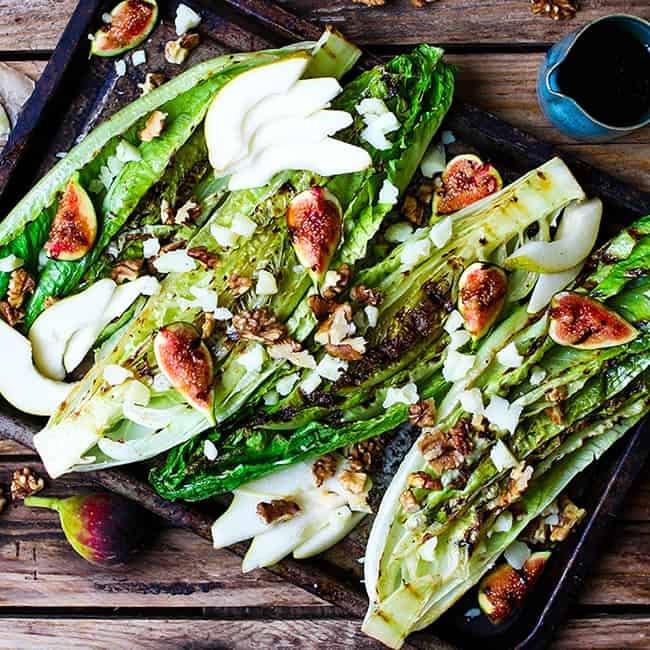 I find the flavour of figs to be a little bland (unless they’re dresdged in brown sugar and fried in butter – see typical Nicky style! ), so that drizzle of honey comes in handy once again. 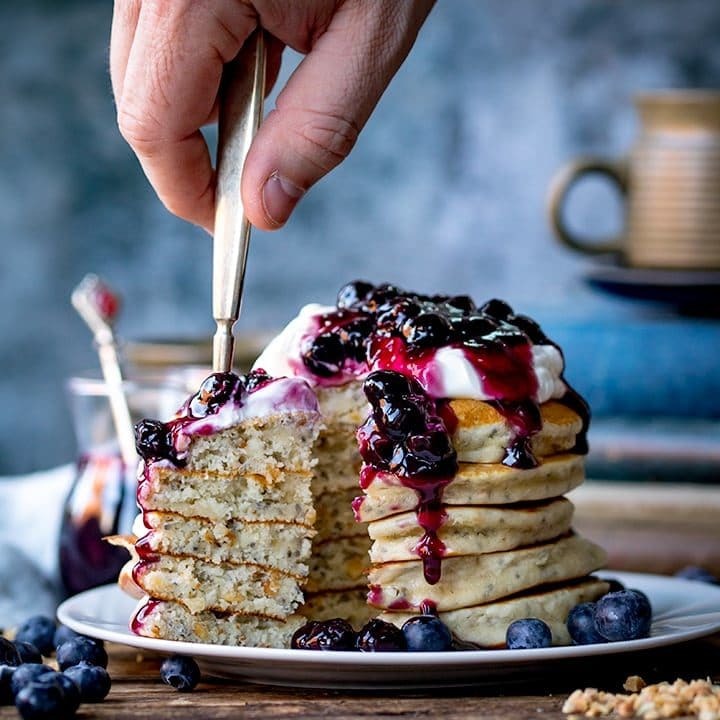 This looks so delicious and sounds interesting, being gluten intolerant this seems a perfect breakfast for me.